Creation: Made in 1898-1899 by Eduard Schurmann & Co. in Frankfurt using emeralds brought to the Netherlands by Princess Wilhelmina of Orange, wife of Prince Willem V of Orange. 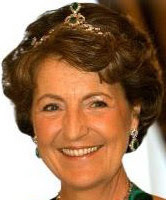 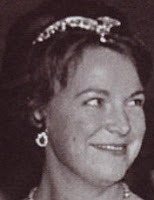 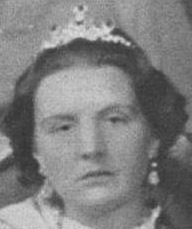 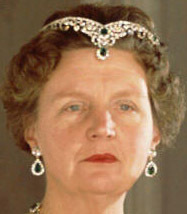 In the 1950s two of the top, pear-shaped emeralds were removed to make earrings and recently two round emeralds from the base of the tiara were put on the top of the tiara. 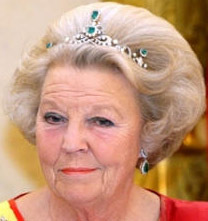 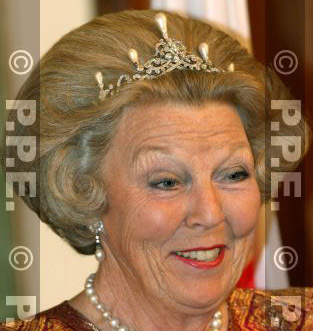 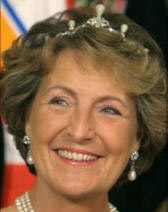 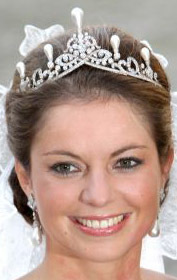 In 2001, the emeralds were replaced with diamonds and five drop pearls as a possible wedding tiara for Princess Maxima. Will the two, top pear-shaped emeralds ever be replaced on the tiara?